Sorrel, if he wound up in the garden, able to reproduce in large quantities and quickly. This weed is very hardy and strong root system able to take away all the nutrients from garden plants. Before disposing of the investigation (sorrel), you need to get rid of the causes of this plant in your kitchen garden. Ate sorrel grows in you, it means the soil is acidic. Acidic soil is necessary to neutralize and bring to normal values by liming. Repeat at least 3-4 years. Otherwise no action against yellow dock will not help – it will be every spring to appear again. 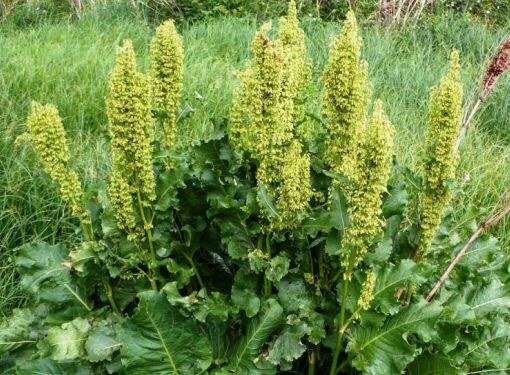 To prevent sorrel next year it is necessary in the autumn to thoroughly clean the soil. Cleared of plant residues not only ridge, but and aisle, path, furrow. Weeds not only need to remove summer with ridges to prevent growth of other cultures, but be sure to destroy all weeds from the area in the fall. Autumn is the time of ripening of the seeds of sorrel and other weeds. If those seeds Mature and disperse, the next year you can get rich "crop" of weeds. So sorrel should be started to destroy in early spring. Single shrubs sorrel can be eradicated manually with a shovel dug out a weed with its root. If the garden is not very much, every Bush as soon as it starts to sprout out of the ground must be sprinkled with lime. Before planting into the garden after the operation, must be not less than two months. If the garden is overgrown with horse sorrel completely, in order to get rid of it, you will need the intervention of chemicals. Better the total destruction of the sorrel plan in the fall, because, after application chemicals – herbicides, at least six months on the treated area to plant anything. "Tornado", "Hurricane" or "Glyphosate" herbicides continuous action that work against dicotyledonous and monocotyledonous plants. They will save the garden not only from sorrel, but from all weeds. These drugs contain the active ingredient – glyphosate trimesium. The treatment is carried out after harvest and full harvest of the plot in the morning, the necessary protective gear (respirator, gloves, special clothes). Strictly follow the norms of consumption of the drug.